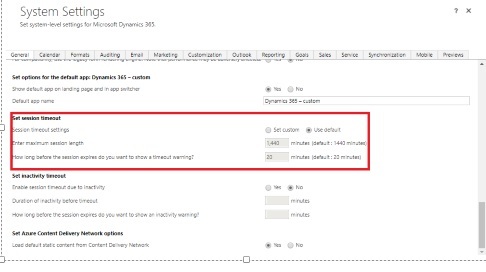 By default online session timeout is 1440 minutes or 24 hours. 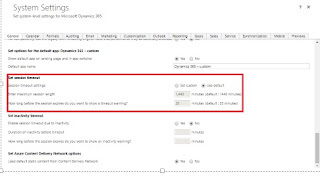 We can configure or set session timeout as per requirement as shown below. Go to settings->Adminstration->System settingss->General Tab. Under Set session timeout section, click on Set Custom radio so that, below text boxes will be enabled for you to set session timeout.